Specially designed bridge for those with higher cheekbones and wider nose bridges. "Alternate fit" ensures the frames rest on the nose and prevents sliding. The alternate fit is perfect. I love the quality and look of the glasses. I wish other glasses too had the option of alternate fit. I thought the frames were cute but the ones I tried on in Doctors office felt great on my face. When my frames came, they fell of my face when I leaned forward. The eye doctor office girl say she could mold them. So she molded them to curve around my ear. Not very attractive looking. Not sure if they are at fault or Ray Ban so I wear my cheap readers I've had for 4 years that fit great and never lost their shape. Hard to say who's at fault but I will split the rating down the middle. 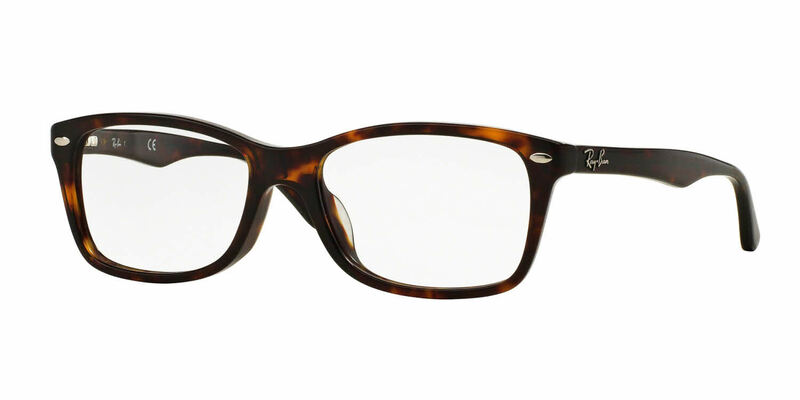 These are cute girl Raybans, with the red design on the inside of the frames it give a nice touch to this classic frame. I thought an ALTERNATE fit meant these frames would fit me. East Asian nose, needing an "alternate" fit, but no -- they slide down my nose and since I wear progressives, I have to pull them off my face to read the computer screen. Dang.